At Five Brothers Insurance, we can provide you with a boat insurance policy to protect your commercial or personal watercraft investments. Whether you operate a fishing boat or simply enjoy taking the family out on the water to enjoy the Florida waves, we can find you the policy to meet your unique needs. Unfortunately, a day out on the water can often turn into a nightmare for boat owners who do not have the appropriate financial protections in place. In the blink of an eye, an accident can occur causing you to be financially burdened by liability damages, damage to your watercraft and more. By purchasing boat insurance, you can protect you, your company or your family from the financial pitfalls that can come with an accident on the water. Whether you want to determine the flood insurance cost for your home or want to insure your new motorcycle, we can help. And, as a comprehensive policy provider, we also provide our clients with a full range of commercial policies including workers compensation insurance, liability insurance, property insurance and more. 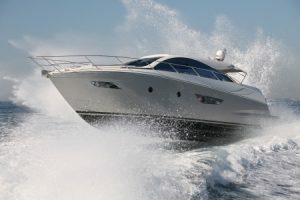 We are family owned and operated and have been serving the insurance needs of residents and business owners from Indian Rocks Beach, Clearwater, Bradenton, Madeira Beach, Dunedin and the neighboring areas for decades, so contact us today to secure boat insurance for your family, request flood insurance cost quotes or discuss any other insurance need you may have. We are 100% committed to providing you with the very best customer service and the widest range of policy offerings available on the market today, and our team looks forward to providing you and your family with the protects you need to rest easy and truly enjoy Florida life.